Taking a cue (pun intended) from the smashing success of the National Yiddish Theatre Folksbiene’s Fiddler on the Roof, the In geveb editors have shamelessly stepped on the turf of our colleagues at the Digital Yiddish Theatre Project to propose the next smash Broadway musicals that need to be performed in Yiddish. Critics have praised Yiddish Fiddler, attesting to the poignancy of seeing Broadway musicals in Yiddish the way their grandparents might have spoken it. So we’re calling for more! We believe that staging these productions in mameloshn helps bring the Yiddish roots of these stories to light, and we are excited to announce that the following shows will soon be heading to Broadway. 1 1 We’d like to acknowledge the directors, cast, and crew who contributed to this piece: Dory Fox, Sonia Gollance, Miranda Cooper, Mandy Cohen, Daniel Kennedy, Jessica Kirzane, and all the little people they stepped on to get to this moment in their careers. Our version of this show may try your patience as the opening song, Vos far a prekhtiker frimorgn, takes twice as long to account for all the keynehores. Nevertheless, we love the way this classic shpil about life in a shtetl in the vayter vest penned by hometown heroes Rogers and Hammerstein resonates with contemporary concerns in the Yiddish world: Can the farmer and the beheyme-mentsh be friends? We ask ourselves this question all the time. We’re especially proud to reclaim for Yiddish Ali Hakim, the womanizing “Persian” peddler (widely read as a thinly-veiled stand-in for a Jew) who has been an exotic other for far too long. In our idealistic Yiddish adaptation, Ali Hakim is a respectful peddler who, without any foreignizing accent, sells his wares and nothing more, and Ado Annie is a girl who knows exactly how to say “No” and does so whenever she pleases. There’s so much for Yiddish teachers to love about this one. For the first day of Yiddish class, ask your students to sing, Lomir zikh bakenen, and if they get nervous speaking in Yiddish, just tell them to fayfn a freylekh lidl; we’re sure it will help. And as for the Uncle Tom’s Cabin performance in the middle of the show? Don’t worry - we’ve got plenty to say about that one! And if Kenig Leer was fartaytsht un farbesert, then our Der kenig un ikh will be fartaytsht un fargresert. We felt Yiddish audiences would enjoy several additional hours of material of Anna in the school room, in which the Siamese children revolt against her imperialist Yiddish language instruction and teach her to speak, read, and write in Thai. Come for the dancing, stay for the student-led communicative language instruction! We’re well aware that the play is based on the work of antisemitic poet T. S. Eliot, but stick with us here. Nothing could be more beautiful than hearing Mungojerrie and Rumplteaser rendered into perfect Yiddish, and if you thought there was never a cat as clever as magical Mr. Mistoffeles, you should get a load of him in Yiddish. Now, instead of sharing cat pictures on social media, underemployed Yiddishists will post youtube links to Zikorn, a sentimental nostalgic folksong following in the footsteps of Vu iz dos gesele. And if our grant funding comes through, we might even be able to help out with the cost of their tickets so they can see the play in person. 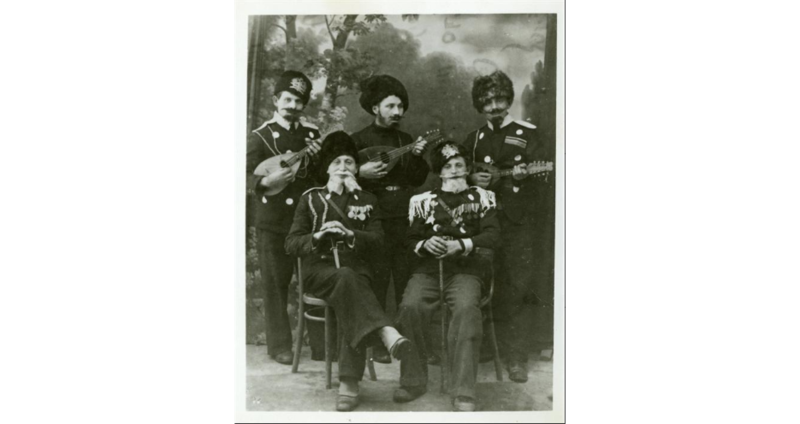 If Fiddler afn dakh plays to shtetl nostalgia, you can bet your letstn dolar that nostalgia for the Great Depression will pack the house. It was, after all, really great. We’ve done a little adaptation to the song “NYC” to better reflect the Yiddish svive: Freg nor bay Nadirn oder Molly Piconen, vos iz zeyer balibster ort / khotsh in Berlin trinkt men kave mit Kulbakn, gefint men nit keyn Forverts dort! Audiences will tear up at the rags-to-riches story of the little yosemte who captures Tate Milkhomegelt’s heart. Let’s end on a note of immigrant achievement! In our production, Alexander Hamilton throws his tfilin overboard as he sails toward the shores of America, singing “azoy vi dos naye land, bin ikh yung, antsheydn un hungerik.” We’ve been working on this translation for a while (it’s not easy to wrestle all these syllables into tight rhymes) and we may not live to see the glory, but we’re not giving up the fight. To whet your appetite, we’ve recorded a demo if “Vest tsurikkumen” - you’ll be back for more when we finally finish our translation and the show becomes the next off-Broadway hit! Here, our Editor-in-Chief embarrasses herself for your amusement. We'd like to acknowledge the directors, cast, and crew who contributed to this piece: Dory Fox, Sonia Gollance, Miranda Cooper, Mandy Cohen, Daniel Kennedy, Jessica Kirzane, and all the little people they stepped on to get to this moment in their careers. 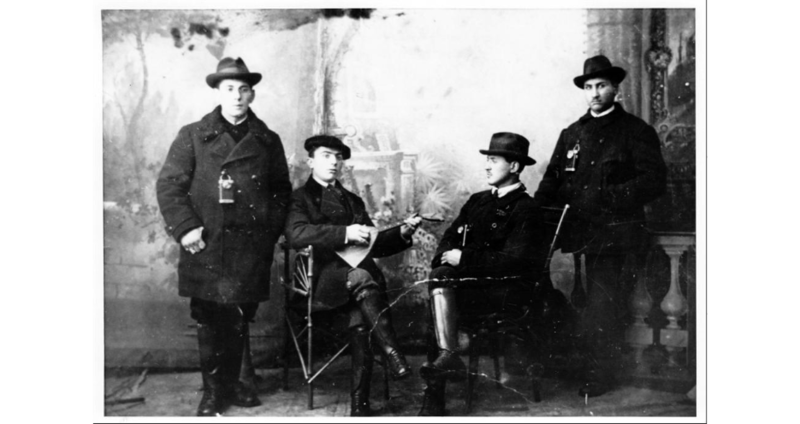 “New Yiddish Productions on Broadway.” In geveb, March 2019: https://ingeveb.org/blog/new-yiddish-productions-on-broadway. 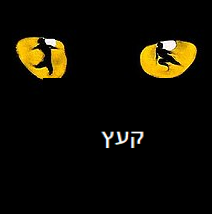 “New Yiddish Productions on Broadway.” In geveb (March 2019): Accessed Apr 20, 2019.